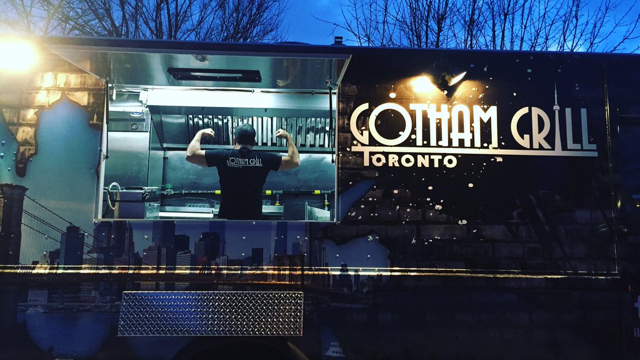 Gotham Grill brings that same vibe and quality of New York City’s food trucks to the streets of Toronto. Whether you are crazy about meat and chicken or a vegetarian, we have great options for you. Our burgers are freshly made from 100% hormone-free beef. It doesn’t end there... Our chicken, steak and bacon are also 100% hormone-free. Watching your calories? No problem, choose from our lower calorie options like a chicken wrap or a salad. If you’re still not feeling amped, check out our other options too, like steak sandwiches, wings, popcorn chicken, fries, poutines, etc. 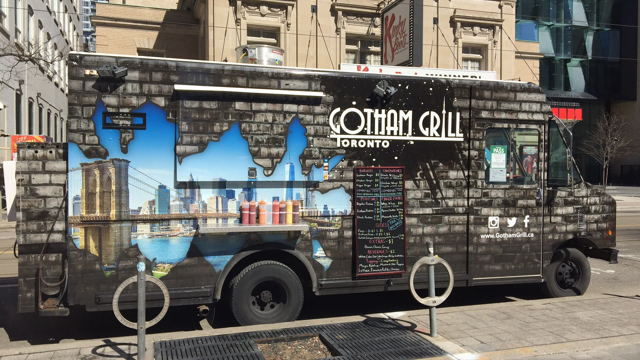 Sorry, we don't know when Gotham Grill will be open next. We last saw them on June 16, 2017 at Bloor St W & Resurrection Rd. Check back soon — as soon as they post their schedule it will show up on this page. 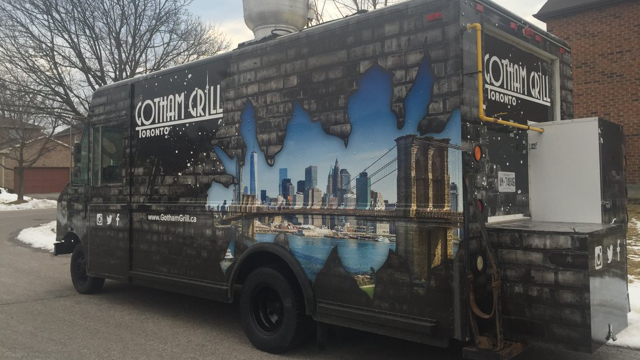 Do you own Gotham Grill? Sign in to post your schedule.